Chelsea Lately | What's On Tonight? Chelsea Lately is an American late night comedy talk show hosted by comedian Chelsea Handler on E!. The show debuted on July 16, 2007, and is produced by Handler’s production company, Borderline Amazing Productions. It is taped at Universal Studios Stage 1 in Universal City, California. In American markets, the show airs at 11:00 p.m. Eastern and 8:00 p.m. Pacific time but is recorded at 3:30 p.m. PT, usually the same day. Chelsea Lately carries a TV-14 rating due to explicit language, strong sexual situations and suggestive references. Chelsea Joy Handler (born February 25, 1975) is an American comedian, actress, author, television host, writer and producer. In July 2007, Handler began starring on her own half-hour, late-night comedy series on E! titled Chelsea Lately. On the show’s 100th episode, she revealed to viewers that the network had picked up Chelsea Lately for another 150 episodes. The show has proved to be a hit by averaging more than a half-million viewers since its premiere (much more than the average for a late night cable program) and having clips on YouTube with more than one million views. In a 2008 interview, Handler said, “The worse the guests are, the more pathetic they are, the funnier the show is.” Handler’s most recent contract extension will keep Chelsea Lately on the air through 2014. Chelsea Lately is broadcast daily on the E! Network in the U.S., Canada, UK, Australia, Germany, and New Zealand. 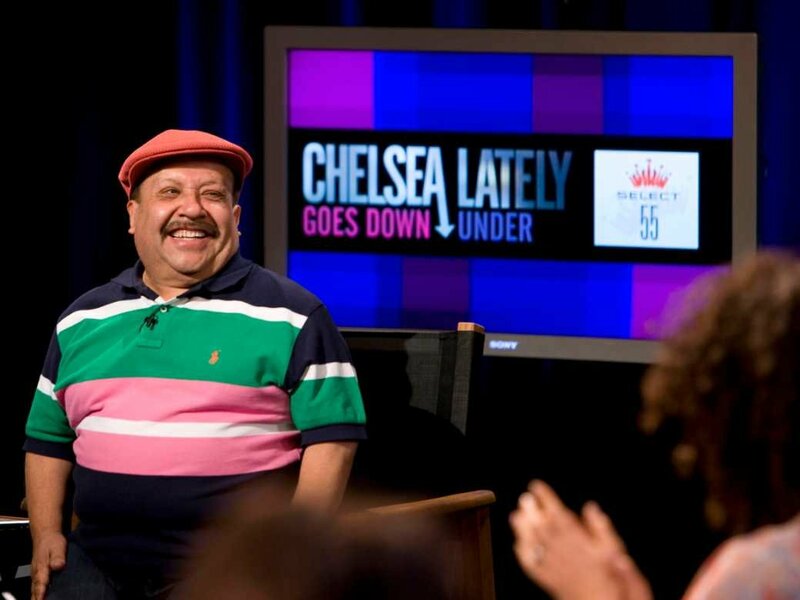 Chuy Bravo is the assistant of Chelsea Handler on her show Chelsea Lately. He usually relays comedic relief in the show and is the topic of many of her jokes. Chuy has Dwarfism standing tall at 4ft 2 in.